HITCHCOCK – Mr. Willard Dyer passed from this life Saturday, January 12, 2019, in Galveston. Willard was born April 2, 1922 in Dido, Louisiana and grew up alongside his 8 siblings. Even as a young man, Willard had integrity and a strong sense of patriotism. So, when he heard the call of our nation, Willard answered and self was forgotten. 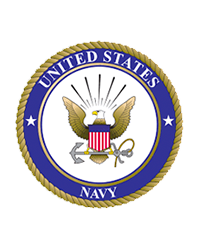 He joined the United States Navy where he served his country faithfully during WWII. After his discharge he married the love of his life, Margaret, and together they had 3 children. Willard worked for Union Carbide as a machinist for over 35 years before retiring but when he wasn’t working, you could find him tending to his beautiful gardens, cooking or making plans for the next camping trip. He and Margaret attended First Baptist Church of Hitchcock for over 60 years and devoted themselves to the church and the Lord. His faith was strong and his love for his family was even stronger. He was a special man whose kindness left an indelible mark on our hearts... and his life a legacy for all to live by. He is preceded in death by his parents, Arthor and Elizabeth (Cloud) Dyer; 8 brothers and sisters; 1 grandson and 1 great-grandson. Survivors include his loving wife of 73 years, Margaret Dyer; son, Glenn “Buddy” Dyer and wife Vicki; daughters, Dianna Davidson and husband, James, Carol Rygaard and husband, Martin; 6 grandchildren, 11 great-grandchildren, 1 great-great-grandchild; numerous nieces and nephews. Memorials in the form of donations may be made in Willard’s name to the charity of your choice.